Two months of this summer have passed by very fast. 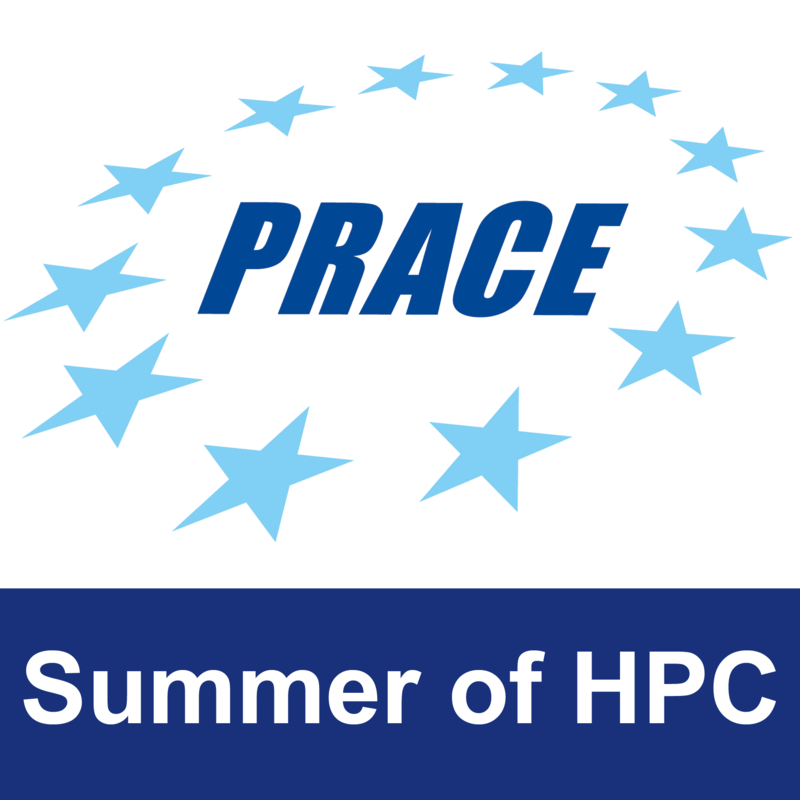 It is the end of my Summer of HPC project and thus the end of my adventure in Scotland. However, is it the end of this project for sure? I’m going to go back to Poland to continue my studies and job. My mentor told me that someone at the EPCC would take over the results of my work, develop it and try to push it into the production servers. 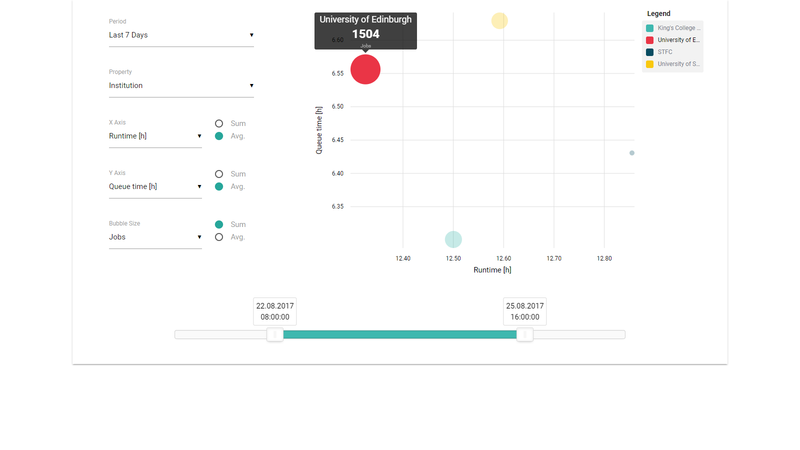 I’ll try to contribute to the development by myself in my spare time because I hope that this visualisation tool will be completed and used by EPCC workers. My first post explained the idea of the whole project. My second post was about the selection of the best technological stack. In this post, I’ll try to address my experience with the chosen framework – Angular. I’m not super satisfied with the outcome of my work, but somehow I’ve managed to finish it at all. 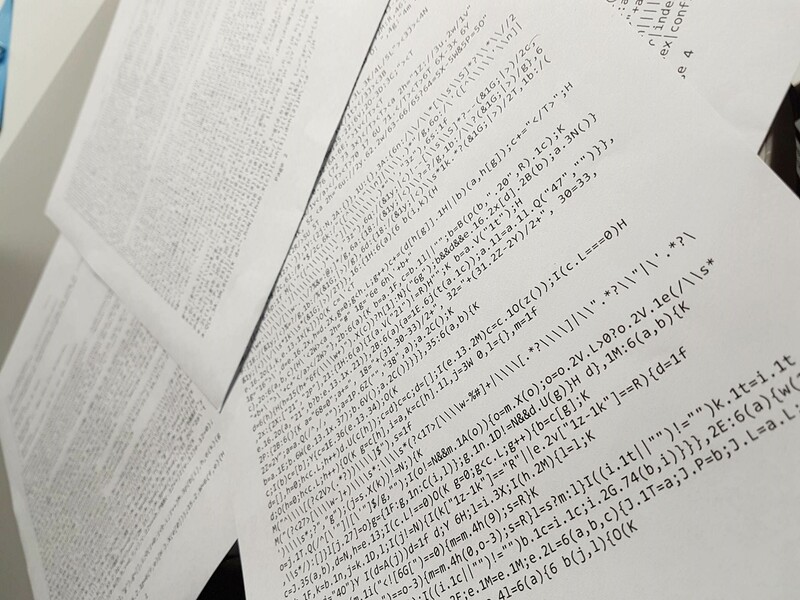 Uglified JS code accidentally printed by one of my friends. Other great features of Angular are services. A service is used when a common functionality needs to be provided to various modules. For example, we could have a database functionality that could be reused among different modules. And hence you could create a service that could have the database functionality. It also allows for the use of dependency injection in your custom components. Dependency injection is an important application design pattern. Angular has its own dependency injection framework, and you really can’t build an Angular application without it. It’s a coding pattern in which a class receives its dependencies from external sources rather than creating them itself. Due to our lack of back-end server, I had to preprocess the usage and jobs data on the front-end side. Therefore, I coded an Angular service that aggregates, sums, averages and manipulates data in a lot of ways. After that, I’ve “injected” it into the chart component. If EPCC staff ever implement the back-end that will do the same things but on a server, then they will just have to swap that service into an HTTP service which communicates with a server. You can check the website live on the following GitHub page. However, do not be surprised by the example data. It’s dummy data generated for the purpose of this project. The code is also available on my GitHub repository. Screenshot of the live website.